Adoption News: Nothing to report this month either. But it's still early, only month 2! Lent has given us lots of opportunities to draw close to God and ask for His will in sending another child to our family. Zelie started gymnastics! 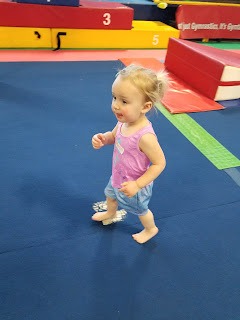 She loves to jump, climb, and spin, so we thought we'd try out a gymnastics class for toddlers (18 mo-3 years). It's a weekly class for six weeks, forty-five minutes long. And it's quite a workout! 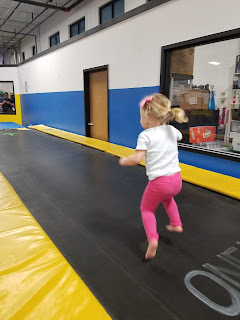 Zelie's coach leads the class through basically an obstacle course: climbing over things, jumping down a trampoline, walking a balance beam (! ), etc. Zelie is tired out after the class, so that's saying something! National pancake day! Three free pancakes at IHOP - can't go wrong with that! 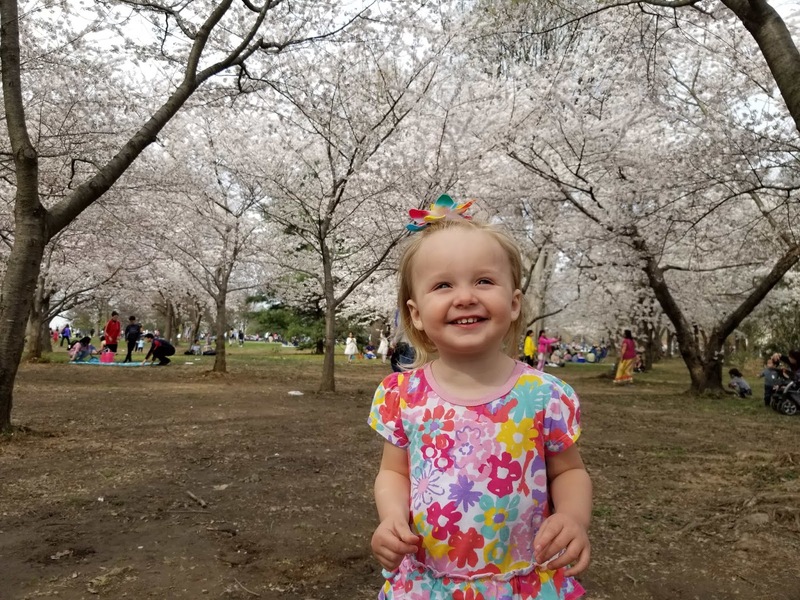 Finally - we enjoyed the most beautiful time of the year in DC, cherry blossom season. 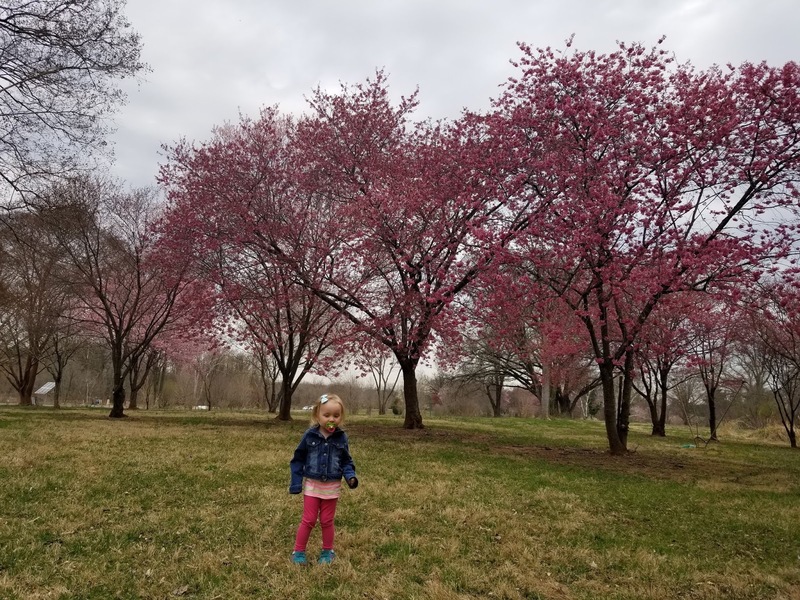 Two of the best places in Spring: the National Arboretum and downtown on the National Mall. 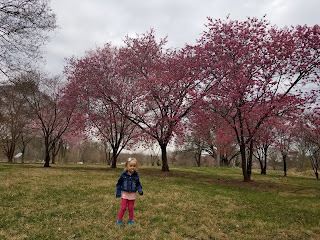 As we waited to adopt Zelie, we enjoyed writing up little monthly "happenings". 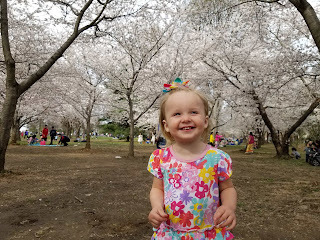 It helped to pass the time and keep us focused on the good things in our lives without getting too anxious about when we would be matched with a child. So we're going to do the same thing as we are now officially waiting for baby #2! 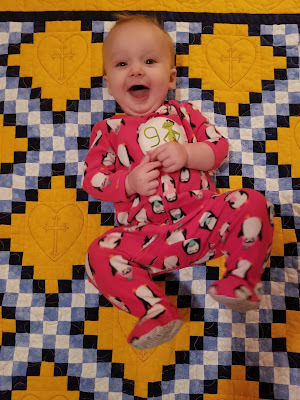 We were approved very late in January, so February was our first full month as a waiting family. Adoption news: Really nothing to report. No calls or situations. Just waiting! And also being happy to be DONE with paperwork for the foreseeable future. 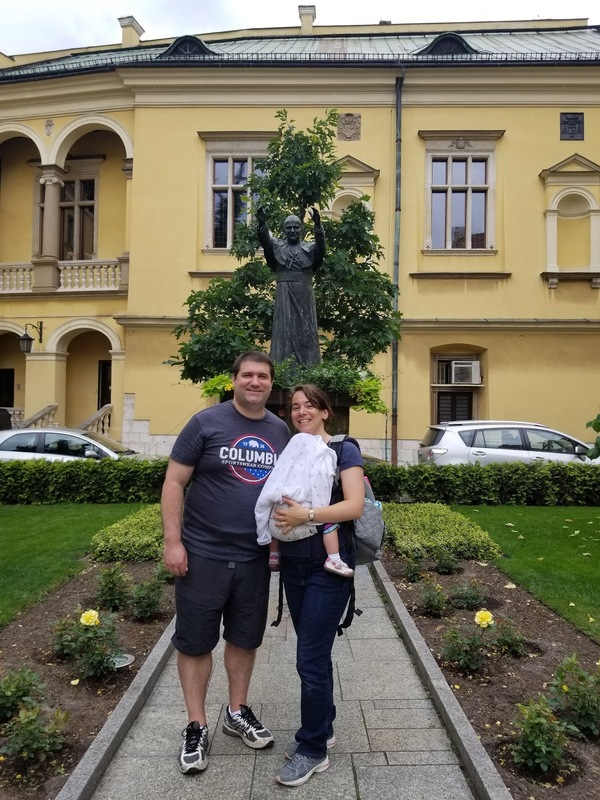 One neat thing is that we've been able to connect with a few people in our lives who are interested in adoption or have started the process, to give them some of our insight and experience. We are far from knowing everything about adoption, but we do know a little! And we are always happy to share. Dan kept busy! 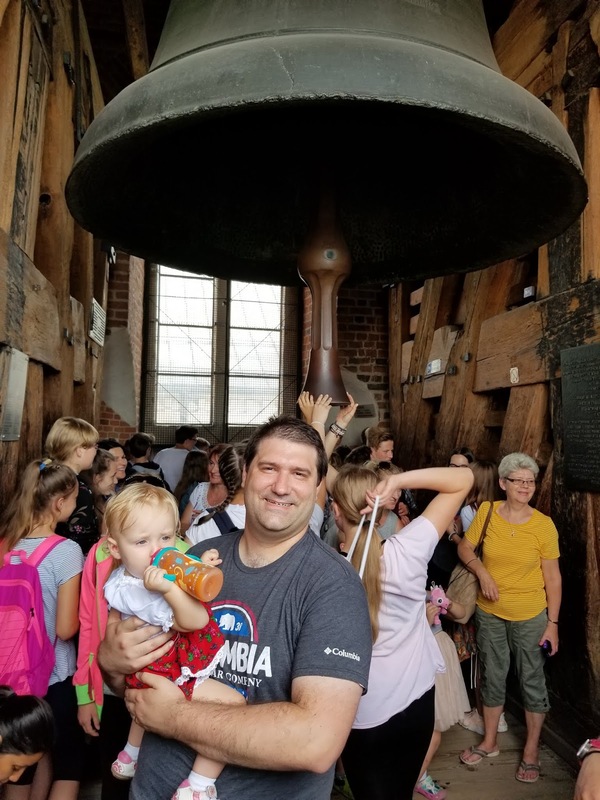 He ran two weekend-long retreats for adult children of divorce, one in Florida and one here in DC, and one day-long family retreat day here in DC. He loves being able to minister to people in this way, but it is tiring, too. For Valentine's Day, we had a low-key evening at home with a yummy meal, movie and drinks. 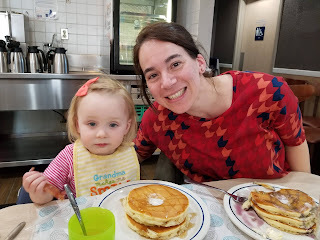 Earlier in the day Zelie and I attended our parish's kids Valentine's party, which was a riot (figuratively and at times literally). Each kid brought valentines to pass out, and they made bags to collect them in. Zelie was pretty tickled at the valentines she got, especially the ones with dogs on them. Oh, and she loved the candy too. 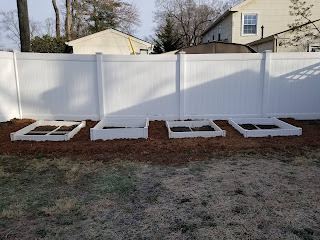 It was fun, and an example of our wonderful community here! For a date, Dan and I went to the National Museum of African American History and Culture, which is on the National Mall. It was an amazing, moving, and very sobering experience. Lots of things to pray about (and weep about) but also to celebrate from this rich culture that brings so much to America. We definitely recommend it for locals and tourists! That's about it - thanks for reading! And please keep praying for us and for expectant moms and dads considering making an adoption plan. In the Waiting Pool & "Live"! We last checked in in mid-October, when we were making good progress on our home study. Since that time, we're happy to say that we completed the home study and are now officially in the waiting pool once more! After we turned in all our paperwork in October, we met with our social worker two times in November and once in December, all at our house. 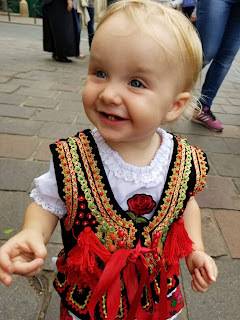 As happened before, one of the meetings was us split up talking with her, and the other two were us together (and Zelie, too). As expected, all the meetings went really well. 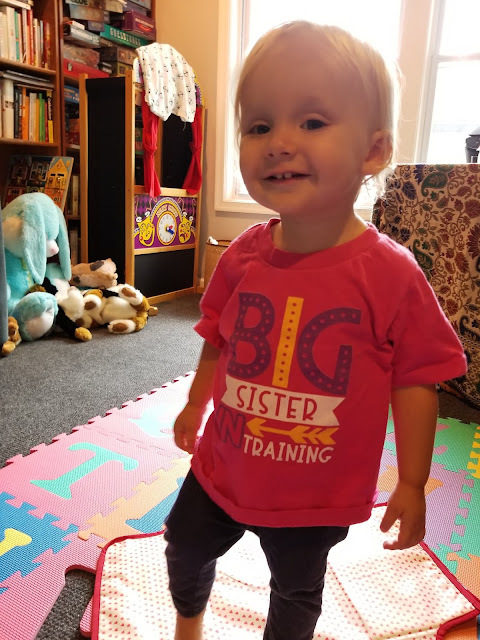 We really like our social worker and it was exciting to update her on the changes in our family since adopting Zelie, and to look ahead at our hopeful second adoption. After those meetings were done, we had to wait for our social worker to write up her official report. 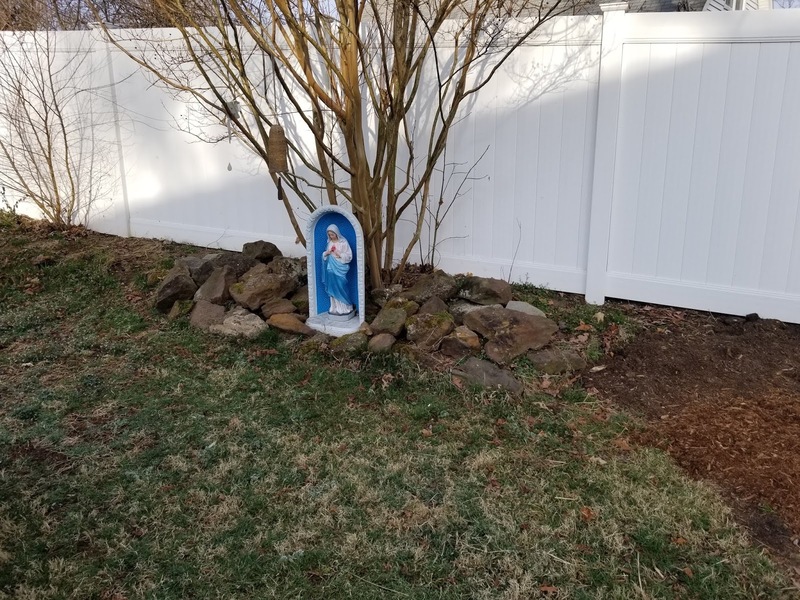 We received a copy shortly after Christmas, had just one minor factual edit, and then it was approved by Barker on January 4, 2019 (Bethany's confirmation saint day - Elizabeth Ann Seton). At that point we were officially approved to adopt, whenever a situation comes together and a match happens! But we had a few more things to do to officially get into the waiting pool with Open Door down in Georgia. They had already contacted all six of their required references. Our home study and supporting documentation had to be sent from Barker to Open Door, we had to sign some commitment forms with them, and we had to fill out a form about what parameters (age, race, medical background and so on) we were open to - similar to what we did as part of our home study. We mailed all of our forms off in mid-January, and received word on January 23rd that Open Door had everything they needed from us, so we were officially in the waiting pool. 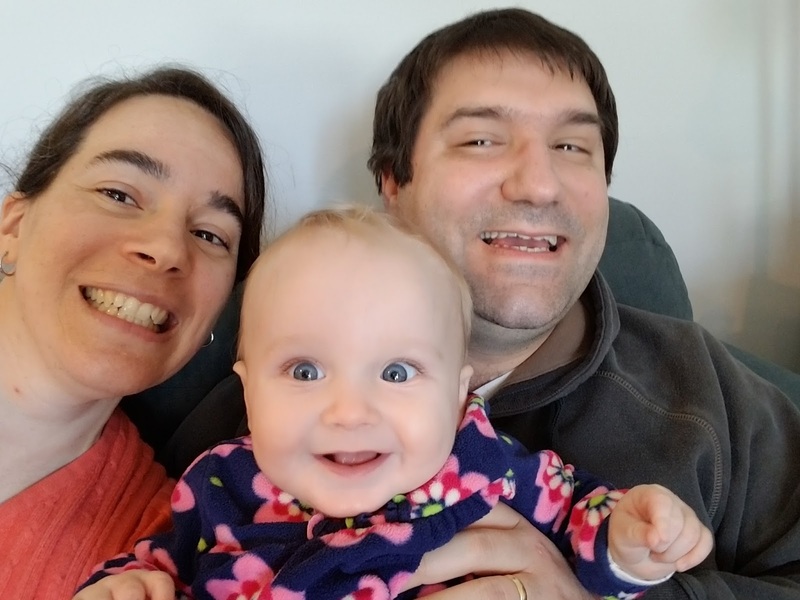 We will be setting up an online profile on Open Door's websites, and whenever they are working with an expectant mom who is looking for a family like ours, our book will be shown. We won't be notified about that unless there are some "gray area" situations that we wanted to have more information about prior to showing our book. We are so excited to be at this stage!! We pray every day for our future son or daughter, and for the men and women who are in difficult situations and figuring out what to do. We trust that this is all in God's hands! Please pray for us! It's about that time of year - heading further into Fall - that schools have midterms and (more interesting to us these days) the college football season is about halfway over. Go Irish! 7-0, yeah! * So we thought it would be good to give a status report of where we are. The home study is so much about behind-the-scenes stuff, but it can be nice to review how far we've come so far - because we're making great progress! So we are well over halfway done!!! Which is great news because our other big project - Dan completing his PhD - is also moving full speed ahead. The day after Columbus Day, he handed in seven copies of his printed and bound 300+ page dissertation (!!!) What a relief! Now he is awaiting a date for his defense, and of course will be preparing for that throughout the Fall. "I wrote ALL of this?!?!?" Thank you for your continued prayers for us!! 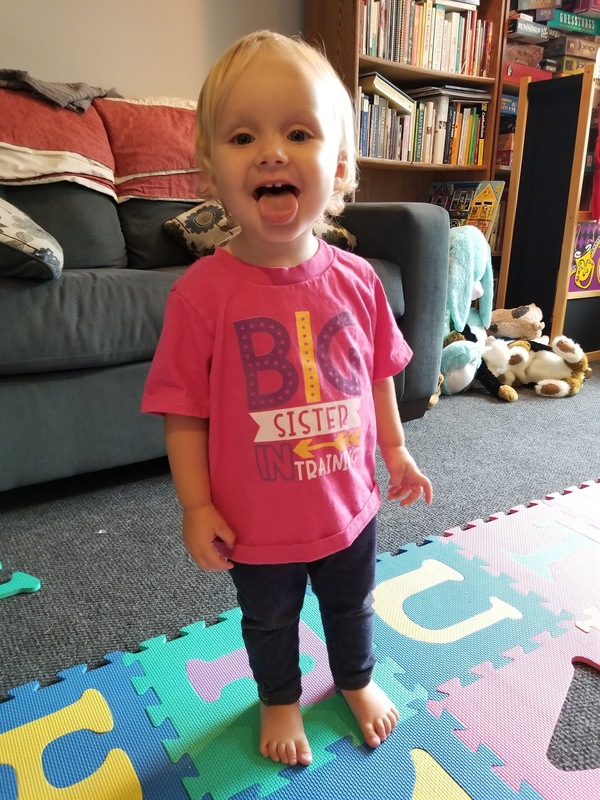 That's right - we have officially started the process to adopt a second baby who will be Zelie's little brother or sister :) We had been talking about taking this step for a while - we would love to have a few kids, God willing! - and decided late summer would be the best time to start: Zelie is over a year old now, so we have some parenting practice under our belts; we're coming up to the end of Dan's PhD work this Fall (hooray x1000); and we feel emotionally & financially ready (or as ready as you can be!) to jump back in to the world of paperwork and the waiting pool and all the ups and downs of trying to adopt. This time around, we'll still be doing our home study with Barker in Bethesda, MD who we LOVE and have learned so much from over the years. Sadly the wonderful staff person who guided us through our last home study has moved on to other exciting ventures - but we're looking forward to getting to know the new staff there since our last go-round in 2015; they've all been great. We've met with Barker once so far to talk through the second adoption and to get the expected big, big stack of paperwork to complete. For placement, we'll be working with An Open Door agency in Georgia, who we had actually been fully signed up with in 2017 for a few months before we ended up adopting Zelie through different channels. But we had a great experience with An Open Door for the time we interacted with them and we think they'll be a good fit for us this time around. In case you're wondering (as we were), yes, we have to do pretty much an entire home study once again. The reason for this is 1) certain forms we've already done have expired, for example background checks; and 2) our family now looks different than when we were trying to adopt the first time around, namely we are 3 persons! So our agency wants to examine our current family and talk through the dynamics that are different. 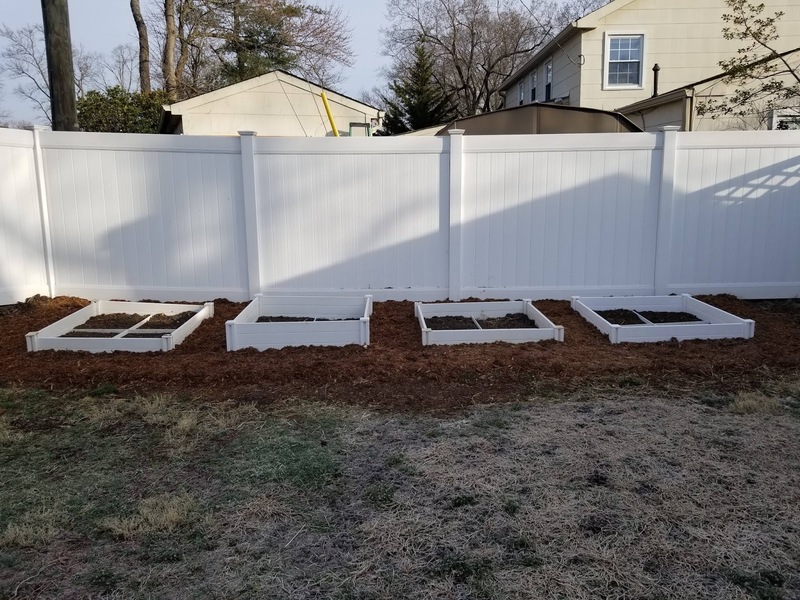 Concurrently with this work, we'll be consulting with An Open Door about when to start their application process, which will necessitate much of this same information and some different things as well. And we'll be updating our profile book to include our beautiful daughter! 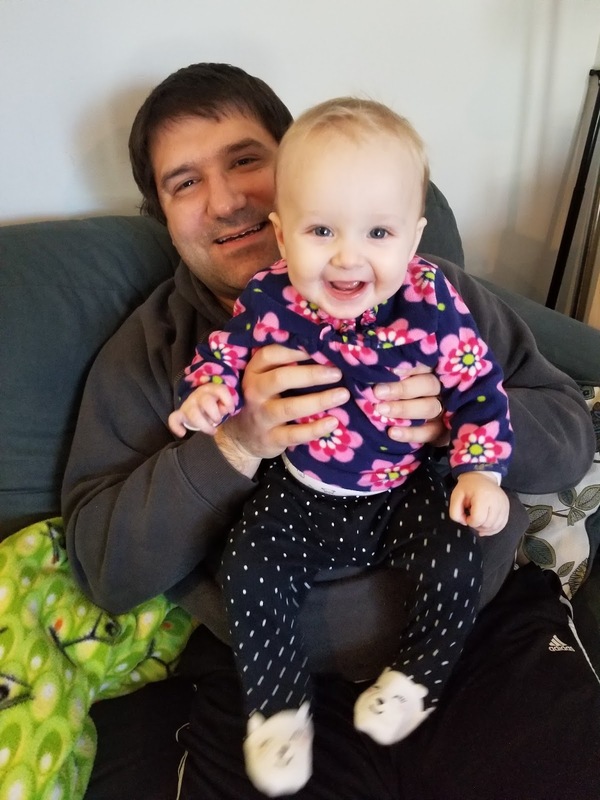 Our working goal is that we're "LIVE" in the waiting pool just after Dan defends his dissertation in the Fall - since that's one of verrrrry few life events that he can't not show up for, even for a baby that needs us to come right now and pick him/her up! So that means that at the very latest, by the end of the calendar year we'll be ready to consider possible adoption situations (God willing). 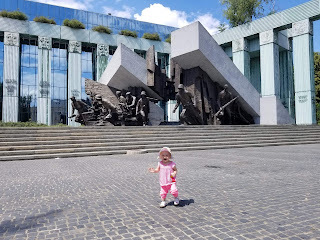 And now for something not quite adoption related....but Zelie related :) We had the opportunity to spend 12 days on pilgrimage in Poland this summer, visiting sites important to three powerhouse saints: St. John Paul II, St. Faustina, and St. Maximilian Kolbe. It was an amazing time! I thought it would be fun (and possibly useful for others, or for us in the future!) 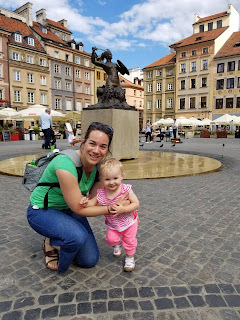 to share what we learned about traveling with a toddler overseas. 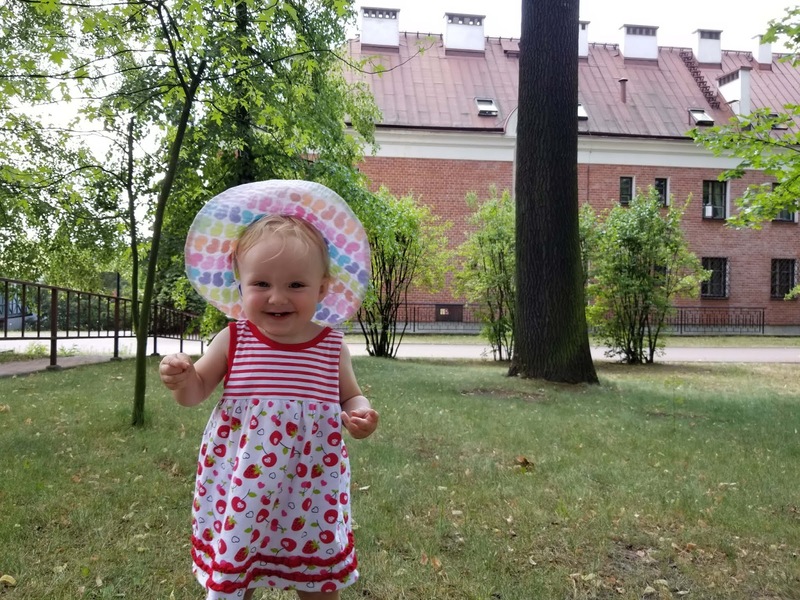 Cliff notes: The good moments on our trip were made extra good by having Zelie with us, seeing her excitement and wonder and experiencing Poland as a family - and the challenging times were...a bit more challenging (or a lot), having a little person to care for in foreign country, away from lots of our usual "tools" for parenting. 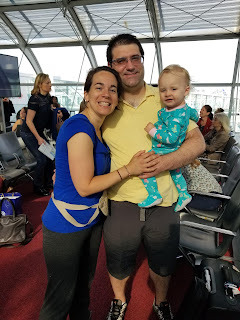 It was definitely worth it to be together as a family, but took a good amount of extra thought and preparation, and extra flexibility while there, much different than trips we've done just as a couple. Goal: arrive safely to destination with toddler! without losing our minds! Absolutely use the family boarding! I don't know why you wouldn't, but it is pretty sweet to get to board almost-first, get out the gear, etc. 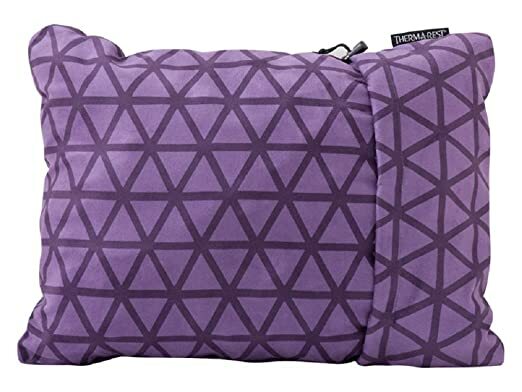 Two small travel pillows that "puff up" when you unzip them and then squish down to pack; we put these on our laps so Zelie could lay on them and it minimized the heat from our bodies (she is a HOT little girl!) - and they were more comfy than the thin pillows provided by the airline. 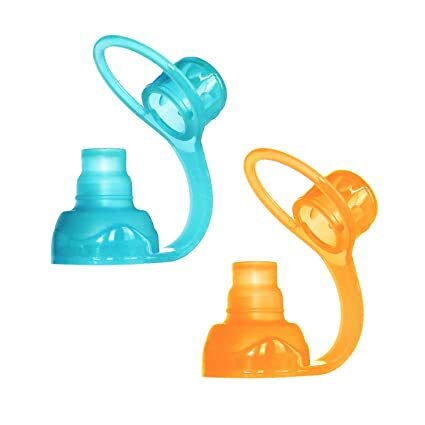 Suction cup toy - we brought three along. 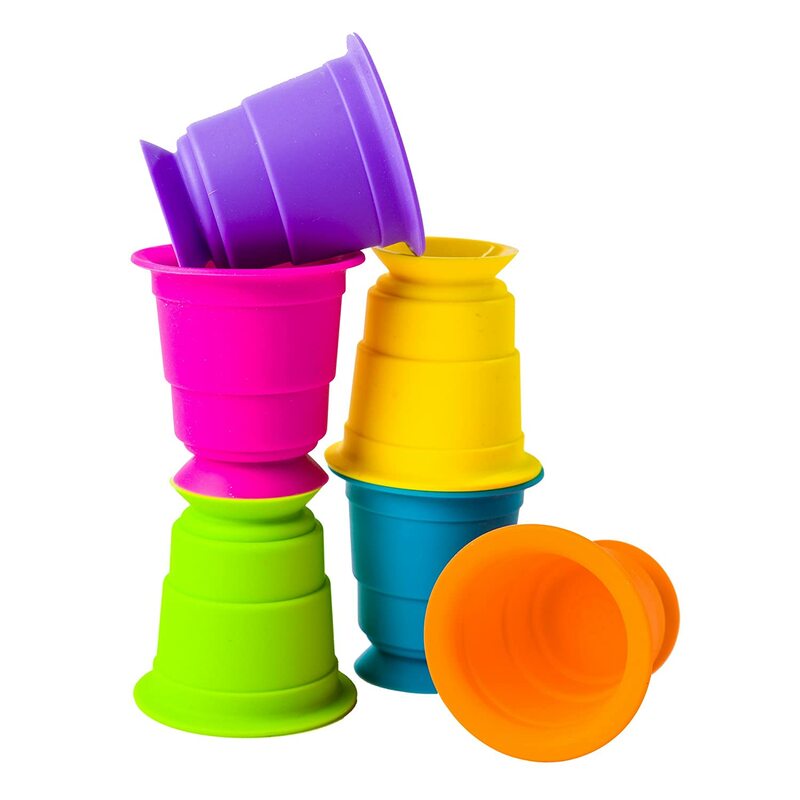 These are neat because they stick to almost anything - the window, tray table, etc. They kept her interested in unsticking them, stacking them, and of course throwing them on the floor (which told us the game was over! haha). 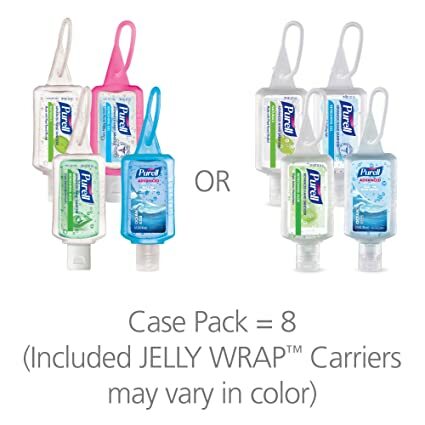 Lysol wipes to wipe down the tray table (germiest part of the plane), back of the seats, arm rests, etc. 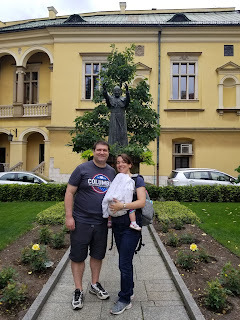 Our pilgrimage was fairly intense, with lots of walking, visiting churches, doing stuff, etc. So we put thought into how to make these full days good for Zelie, and us. In the same vein, transitions (from place to place, vehicle to place or whatever) may or may not fit with Zelie's nap schedule, food schedule, etc. 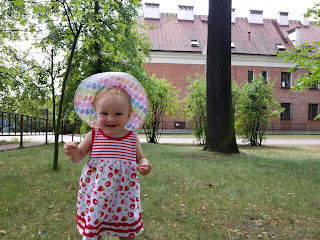 We just did what we could to give her time every day to rest, run around, explore, etc. - and she turned out to be pretty flexible and could adjust as needed. 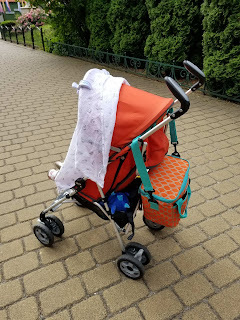 Rain cover for stroller - we only ended up using this once, but were glad we had it; Poland was supposed to be more rainy than it was, so better to be prepared! Napping - stroller reclined, light blanket clipped on. Also cooler hanging off the back. Stroller - obviously the most important piece of the puzzle; ours is a Chicco Capri bought from Craigslist. Pluses are that it is VERY light, which was great for all the stairs we had to carry it up; it folded up super easy; was comfy for Zelie; and reclined somewhat. 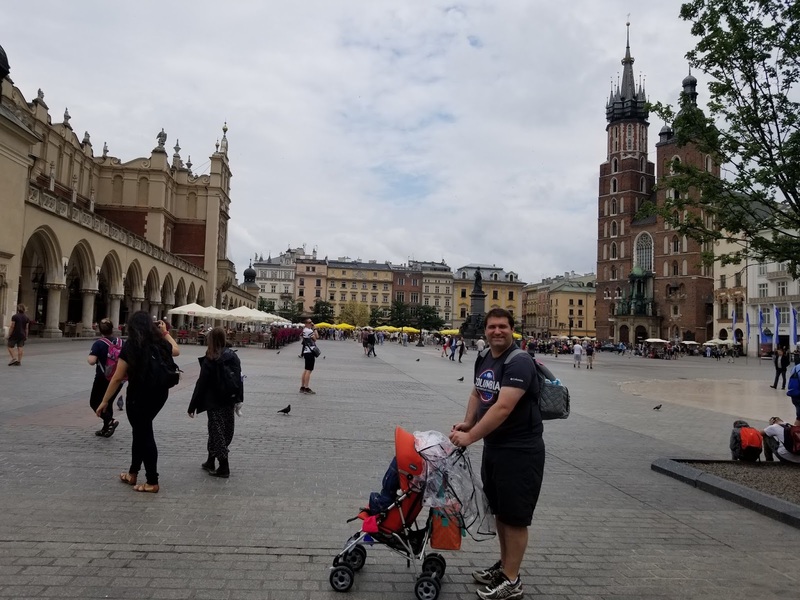 Cons are that the shocks didn't seem that great, so cobblestone streets got really bumpy; and the under-stroller storage was teeny-tiny. If we did it again, I would probably look for more storage and maybe slightly bigger / more sturdy, although I hesitate to go heavier...it's a trade-off. Baby carrier - we used our Tula every day, both when it seemed Zelie needed some extra cuddles/a nap and for places where the stroller couldn't go (Krakow's ancient Wawel castle/cathedral being an example) We used it in back carry mode when she was awake, and front carry when it was her nap time. It's a bit bulky so mainly we stuffed it under the stroller (where it took up all the space). 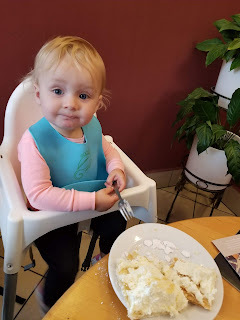 Goal: getting toddler enough food! We are fortunate that Zelie is a good eater who will try just about anything, and likes most things. Right now she still has bottles of milk or juice for nap/bed/comfort, and other than that eats solid foods. We did bring some food along (see below) but mostly just gave her stuff off our plates when we ate, plus had plenty of juice or milk at the ready. you can take ice packs through security BUT only if they are frozen...which became an issue for us on our Paris layover on the way there; we had to go through security again (not sure why) and because the ice pack was melted, it was now "forbidden" according to the security officer....and tossed. Good thing we had a second (unfrozen) one in our checked luggage! Goal: everyone get at least *some* sleep! Jet lag! 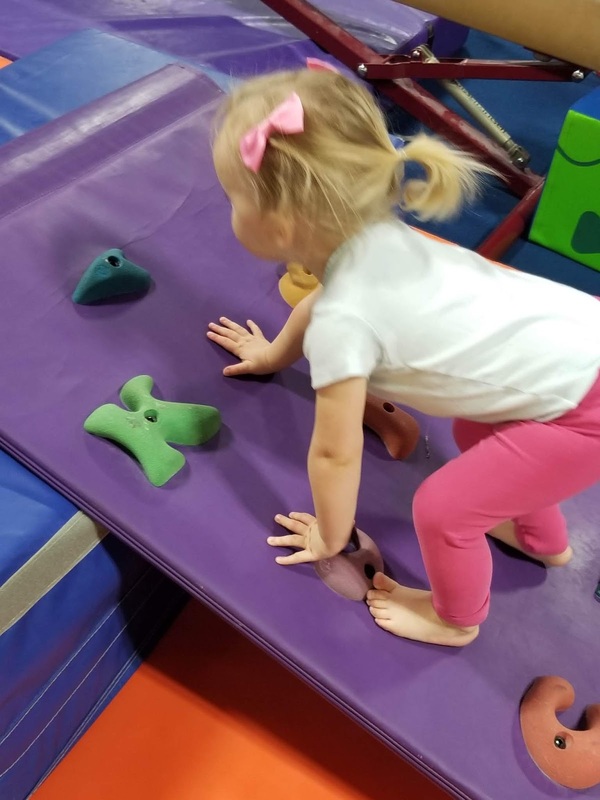 Is hard on toddlers! 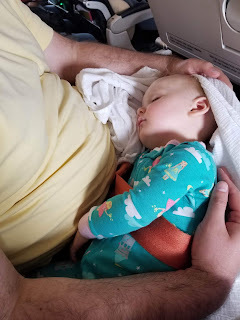 For whatever reason, the 6-hour time zone difference didn't seem to faze her much traveling east to Europe - maybe because she had a fairly normal night sleep during our overnight flight? But coming back home - ouch. It took about 5 nights for her to sleep until at least 6 a.m.....the first night home, she was up at midnight, ready to go! That was rough. The most we could do was try to convince her it was still nighttime: darkness, quiet, bottle, rocking. And basically just waiting for her internal body clock to get re-set. 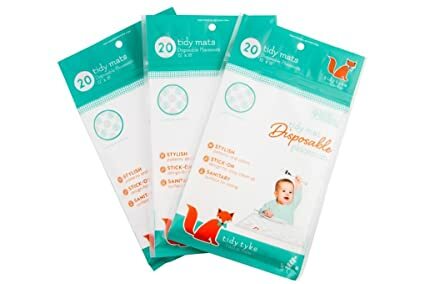 Bathing: we gave her a full body water bath twice (once in a tub without a shower, once in a shower without a tub, go figure) but the other days we used the Johnson & Johnson head to toe wipes, which were perfect for freshening her up without a full bath. 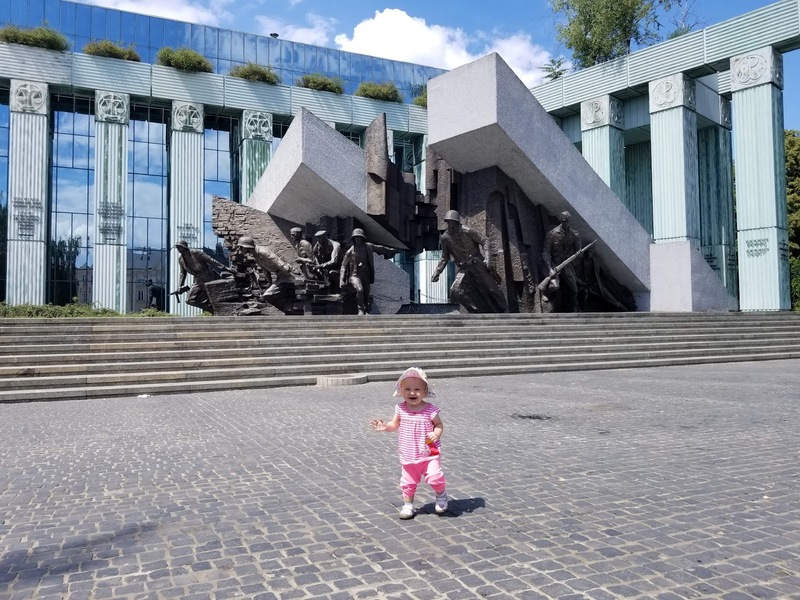 Final thought: Traveling with a toddler overseas is more work, takes more thought and more adjustment, but is definitley doable and worth it!! Happy to hear any thoughts from folks who have also traveled with their toddlers!